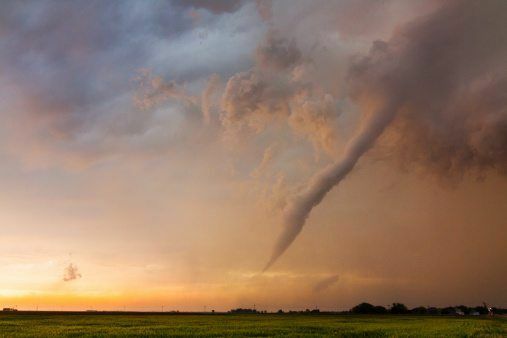 Take shelter, gang – because here at National Geographic Kids, we’re entering the eye of the storm with ten tornado facts! 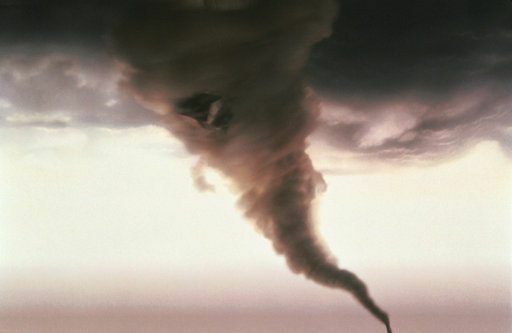 1) Tornadoes – also known as “twisters” – are violently rotating columns of air that reach from a storm cloud to the earth’s surface. 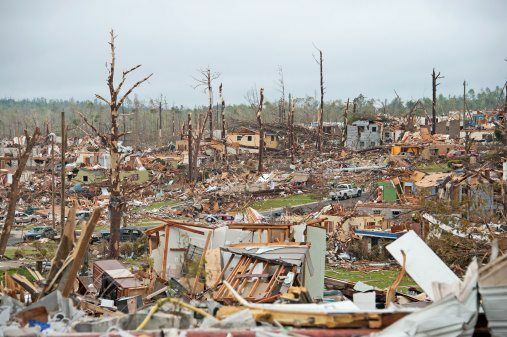 2) The winds of a tornado can reach speeds of up to 480km per hour – that’s strong enough to peel the roofs off houses, uproot trees and hurl heavy objects, such as cars, hundreds of metres! 3) Tornadoes come in different shapes and sizes. 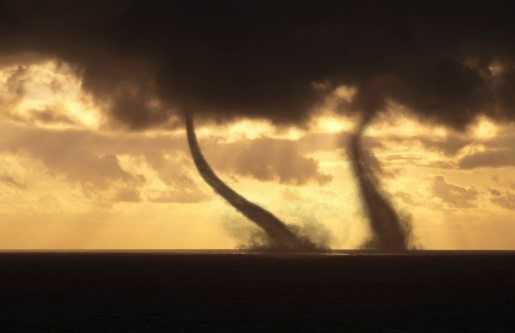 Some may appear as wide funnel-shaped clouds, others as thin rope-like swirls stretching from the ground to the sky. 4) The duration of tornadoes, and the distance they travel, varies. Most last less than ten minutes and travel five to ten kilometres before disappearing. In extreme cases, however, they can last several hours and cross distances over 150km! 5) Tornadoes are measured using the Fujita Scale (or F-scale), ranging from F0 to F5, with F5 being the strongest and most destructive. 6) The deadliest tornado ever recorded was in Bangladesh in 1989. As it travelled through the Dhaka region of the country, more than 20 villages were destroyed and around 1,300 people were killed. 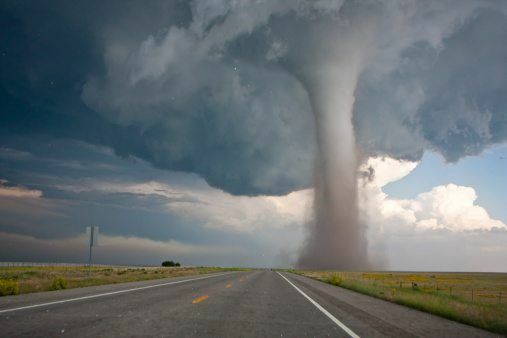 7) Most of the world’s tornadoes occur in the United States in what’s known as Tornado Alley. Stretching from west Texas to North Dakota, this area can see more than 200 tornadoes each year! 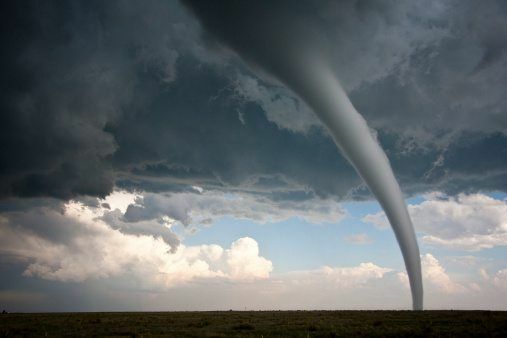 8) If a tornado occurs over water, it’s called a waterspout. 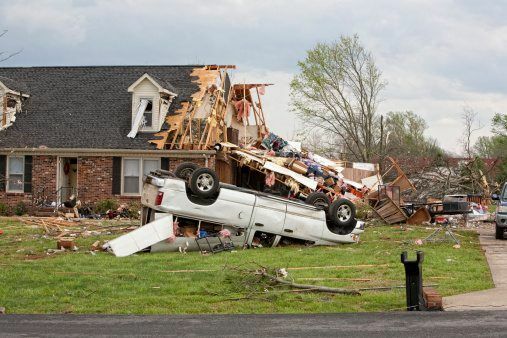 9) Not all tornadoes are easy to see. In fact, they can be invisible until they pick up dust and debris, or a cloud forms within the spinning funnel.